The Mesoamerican Reef (MAR) System extends for more than 1000 km along the coasts of Mexico, Belize, Guatemala and Honduras, and is the second largest coral reef system in the world. This incredibly diverse ecosystem is home to more than 60 types of hard coral, 500 species of fish, 5 marine turtle species, and one of the world’s largest gatherings of whale sharks. Marine resources support the economic livelihoods and rich cultural life of nearly 2 million people in the region, but the MAR is under threat from overfishing, agricultural runoff, climate change, and tourism and coastal development. The effects of pollution, habitat destruction, ocean warming, and sea level rise are already negatively impacting biodiversity and human welfare. In response, the Mexican Fund for the Conservation of Nature launched a program in 2010 to accelerate conservation in this critical biome. The MAR Leadership Program (MAR-L) builds capacity and leadership skills of young conservationists in the region that will serve them over their entire professional life, and helps them launch innovative marine and coastal conservation projects. The MAR-L fills an important role by focusing on early-career conservationists and providing them with training, knowledge, tools and opportunities that are often lacking in traditional academic curricula in Latin America. CSF is proud to work with MAR-L to provide economics expertise on the 2016 program theme: Promoting a Blue Economy Approach to Sustainable Development. 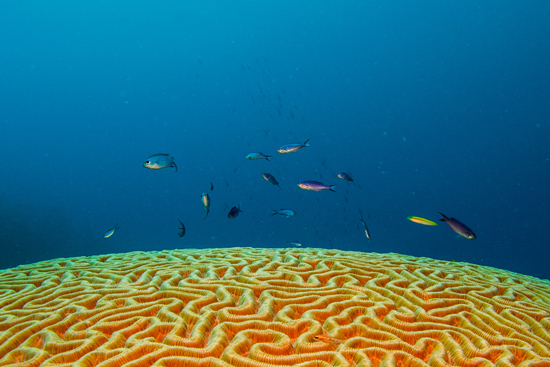 The Blue Economy approach aims to improve human welfare without destroying ecosystem health, specifically in regions with ocean-dependent economies. In many cases, development in these regions has relied on marine ecosystems to provide infinite free resources and a place to dispose of waste; environmental and social costs are often not included in project assessment. In a Blue Economy, governments, NGOs and the private sector are aligned to decouple economic development from environmental degradation, and harmonize economic growth with the long-term resilience of the ocean. The 2016 MAR-L cohort is comprised of 12 Fellows in the four MAR countries from a variety of sectors and backgrounds who are motivated to shift the prevailing economic thinking and build a more equitable and sustainable future. Each fellow will receive training in conservation economic tools, leadership and strategic communication skills to become agents of change. Each workshop will include instruction in key economic concepts and methods, how to apply economic tools to coastal and marine conservation, aspects of project and proposal design, and strategies for communicating economic information to funders, decision-makers and stakeholders. CSF will facilitate and teach in the workshops, as well as provide mentorship support for fellows between workshops. Experts from other organizations will also lead modules and interactive activities in each workshop to build leadership and communication skills. Fellows will ultimately develop a project proposal to build their own individual and/or organizational capacity to support the goals of the Blue Economy theme.